I am currently showing two paintings at the Foothills Art Association- Regional Exhibition throughout September. 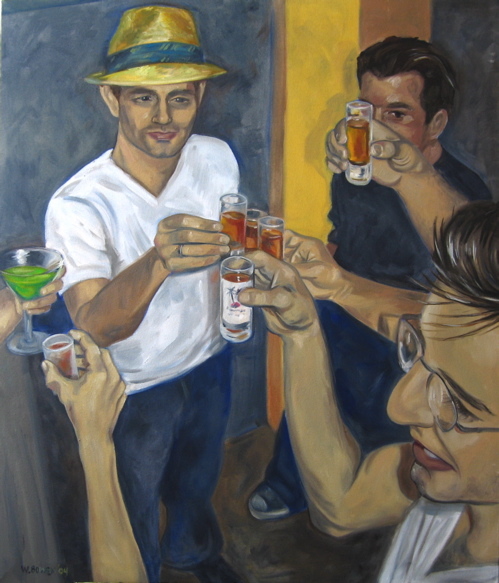 The Art Association has a great new gallery space located at 8450 La Mesa Blvd. & Memorial Dr. in La Mesa, CA. Feel free to visit and look at what fantastic art is located in East County! 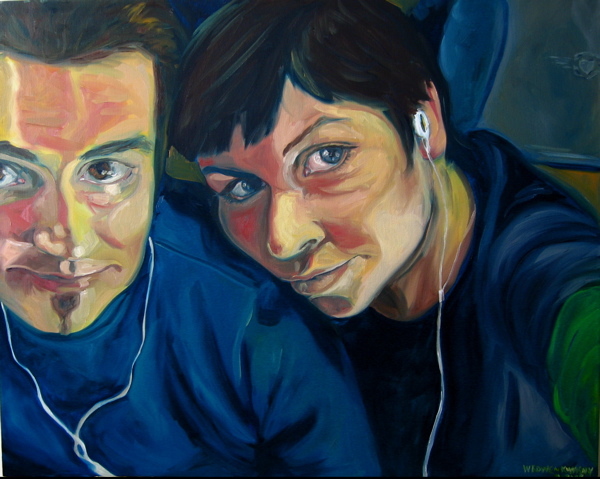 My painting “iPod Travels” has been accepted for exhibition at the SDAI Regional Show. The theme for August’s show is “Deas Sea Scrolls”. 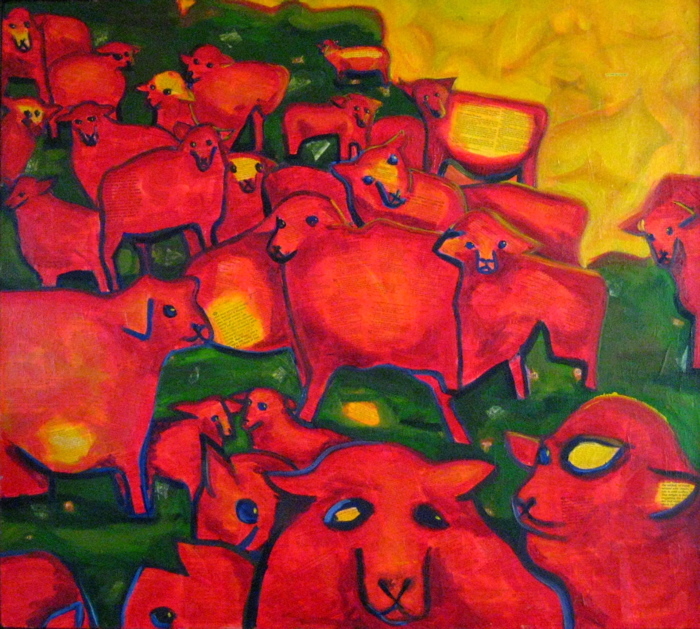 My painting “Sheep” has been accepted for exhibition throughout the month of August.